JAMB to move exam to Ilorin over LAUTECH Students’ protest – Royal Times of Nigeria. 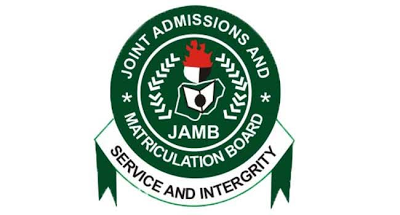 The Joint Admission and Matriculation Board, JAMB, on Monday said it will move candidates scheduled to write their examination at the Ladoke Akintola University of Technology, LAUTECH in Ogbomoso, to Ilorin, due to students’ protest. The UTME candidates scheduled to use the LAUTECH campus Computer Based Test (CBT) centre were prevented from gaining access to the school to write their examination scheduled for Monday morning. The protesting students shut the school gate by 5am after the student leaders held a meeting following ongoing crisis in the institution. They were demanding for a comprehensive academic calendar before new students are being admitted to the school. JAMB spokesperson, Fabian Benjamin reacting to this told newsmen that the board was concluding arrangements to reschedule the exams for the affected candidates to Ilorin. He said; ‘We will reschedule them. Even though it’s not our problem, it’s the school’s problem, but they are our candidates. There is no private centre in Ogbomosho and the closest centre to Ogbomosho is Ilorin. This disruption happened today and we need to do some technical arrangements first. ‘So, no date has been fixed yet. But we are going to write the exams in Ilorin except if LAUTECH resolves the students unrest’.